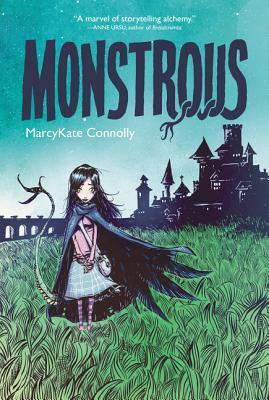 "Marcykate Connolly’s debut children’s novel, Monstrous, is absolutely delightful! Kymera is not your typical young girl. Her father has brought her back to life, and in the process has made some modifications, giving her wings and a serpent’s tail. She is forbidden to interact with the humans in the nearby city of Bryre because they would harm her. However, the city is under the spell of an evil wizard and the young girls are becoming ill and slowly dying. Under the direction of her father, Kym enters the city under the dark of night and rescues girls so that her father can heal them and send them to a better home. During one of her trips to the city, Kym is befriended by the king’s page, Ren, and their friendship leads her to question everything she has known. I loved, loved, loved this book! The characters are compelling and I promise that you will be captivated by the monstrous Kymera."